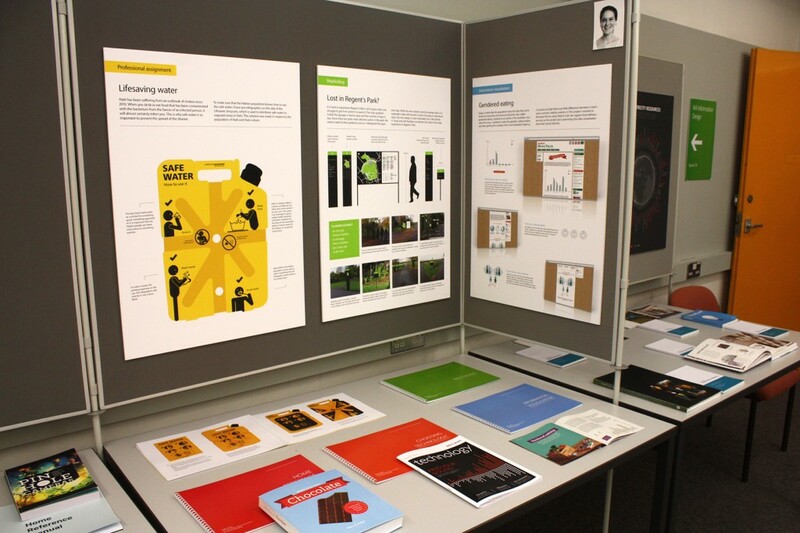 The final work of this year’s MAs in Information design is currently on display in the Department. 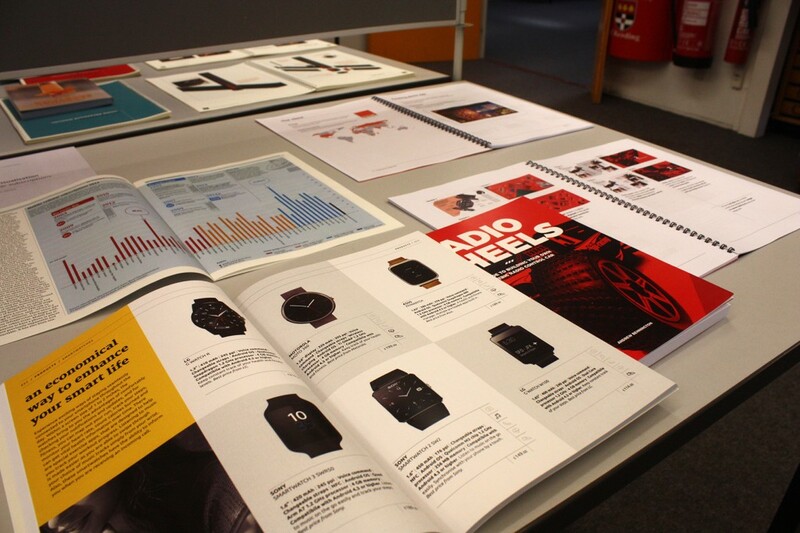 Also exhibiting their work are this year’s MAs in Book design, as well as the BAs. Congratulations to everyone on such professionally presented material. 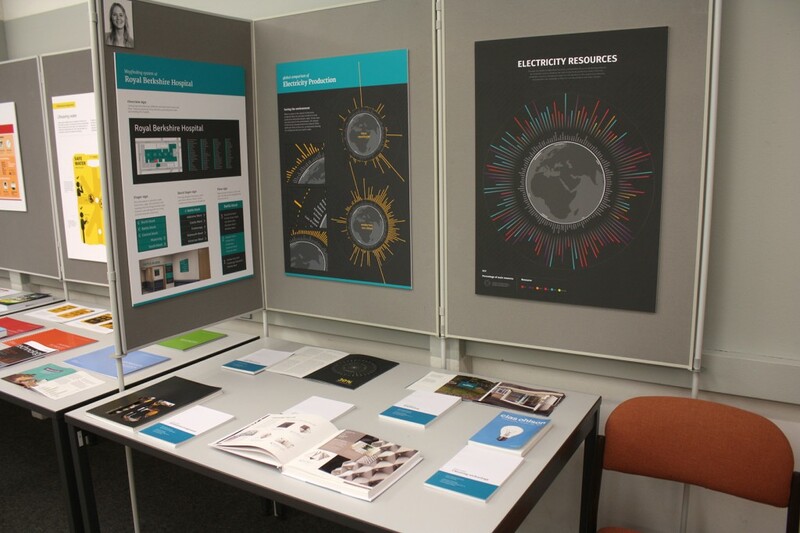 This year’s 13 information designers are displaying practical projects ranging across the design of instructions and illustrated explanations (the display shown above includes information graphics to encourage safe water usage to be applied to jerry cans in Haiti), information visualisation (the displays shown below include data visualisations of mobile phone usage in Africa and of global electricity production), complex typography and wayfinding design. The students’ practical work is accompanied by a reflection on practice for each project. This documentation is also on display at the exhibition, in order to show the learning process and the development of each design project. The exhibition is open to the public between the 9 and the 13 of June.